MTV EXIT (End Exploitation and Trafficking) has announced a historic live concert in Myanmar to be held on December 16th to raise awareness and increase prevention of human trafficking. The free live concert will be held at the Yangon People’s Square, which lies at the base of the magnificent 2600 year-old Shwedagon Pagoda, one of the most iconic and auspicious sites in the country. Multi GRAMMY award-winning singer songwriter Jason Mraz will headline the event becoming the first international artist ever to perform at an open-air concert in Myanmar. Also performing are Myanmar’s top artists including Phyu Phyu Kyaw Thein and R Zarni. Sharing the stage at the free concert will be speakers from the anti-trafficking sector, government and donor community who work to fight human trafficking in Myanmar. In addition, MTV EXIT has launched a contest giving fans a chance to win a trip to see Jason Mraz live in Myanmar. Contest details are here. MTV EXIT Live in Myanmar will be broadcast in Myanmar on national television and will air across MTV’s international network in early 2013 as a special edition of “MTV World Stage,” MTV’s weekly live music series. Available in more than a half-billion homes, the program will feature performances, interviews and key educational information about human trafficking. The event is funded by the Australian Government’s Agency for International Development (AusAID), the United States Agency for International Development (USAID) and Walk Free, a global movement to end modern-day slavery; and produced in partnership with the Government of the Republic of the Union of Myanmar, the United Nations Inter-Agency Project Against Human Trafficking (UNIAP) and the Association of Southeast Asian Nations (ASEAN). 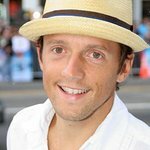 Jason Mraz has taken his musical journey from coffee houses to stadiums globally and now has two GRAMMY awards and six GRAMMY nominations to his credit. In 2008, his third album, We Sing We Dance We Steal Things, featured the hit “I’m Yours,” which sold more than 21 million units worldwide and the GRAMMY-winning songs “Make It Mine” and “Lucky.” Most recently, Mraz released Love Is A Four Letter Word, which features the chart-topping song, “I Won’t Give Up.” Mraz has been a longtime advocate against human trafficking, engaging with anti-trafficking organizations in Ghana and The Philippines. The Californian singer last performed to capacity crowds in Asia in June 2012 as part of the Tour Is A Four Letter Word world tour. Human trafficking is a tragic crime that enslaves and exploits its victims, the majority of which are women and children. There are more than 20 million people living in slavery around the world with Myanmar and Southeast Asia particularly affected. The concert forms part of a wider initiative that seeks to educate and train youth through innovative television programming, digital content, capacity building workshops and community-based events. MTV EXIT Live in Myanmar follows the production of two Myanmar MTV EXIT documentaries on human trafficking, which were broadcast in 2010 and 2012 on national television to educate the public about the dangers of trafficking. MTV EXIT is also proud to partner with Edelman, the world’s largest public relations firm. Further details on the concert including how to obtain free tickets will be released soon. For more information, click here or follow MTV EXIT on the following social media platforms: Twitter @mtvexit and Facebook.